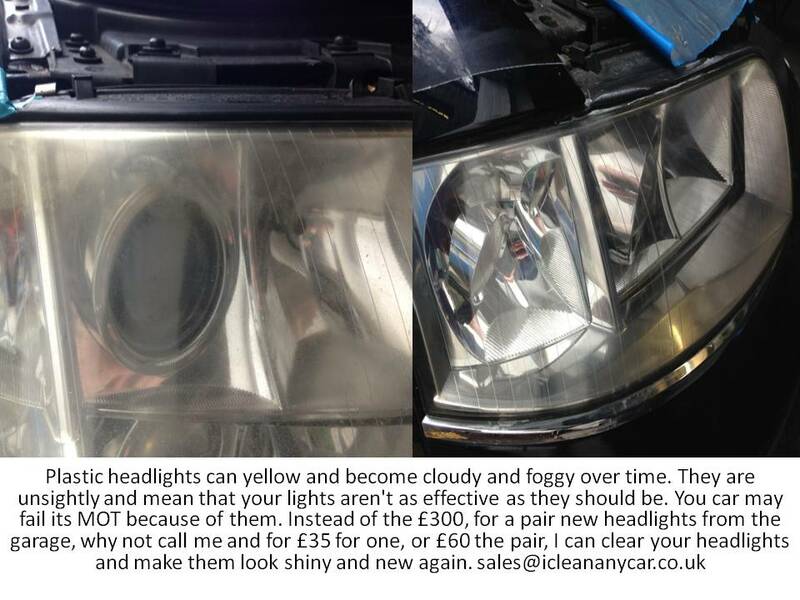 We can save you replacing your MOT fail headlights. They get cloudy, foggy and yellow when the plastic corrodes and when they stop emitting enough light in the correct way they will fail an MOT. Yellow headlights also look awful. We cut back through the corrosion on the surface and bring them back to a clear, smooth finish. Both headlights cleaned and sealed for £60. Saves £100's over replacement headlights. We are mobile and come to you. We cover Chichester, Worthing, Brighton and surrounding areas.